Ever wondered about finding a perfect destination with a full package of history, culture and natural beauty? There will be a no better place than Lamjung to taste the combination of natural and cultural splendor. Lamjung is gifted with a great enthralling view of mountain ranges, lush hills, rivers and streams, waterfalls, old hamlets as well as the beauty of culture, tradition, religion, multi-ethnic people. Lamjung District lies in the north-central part of Nepal in Western Development Region. 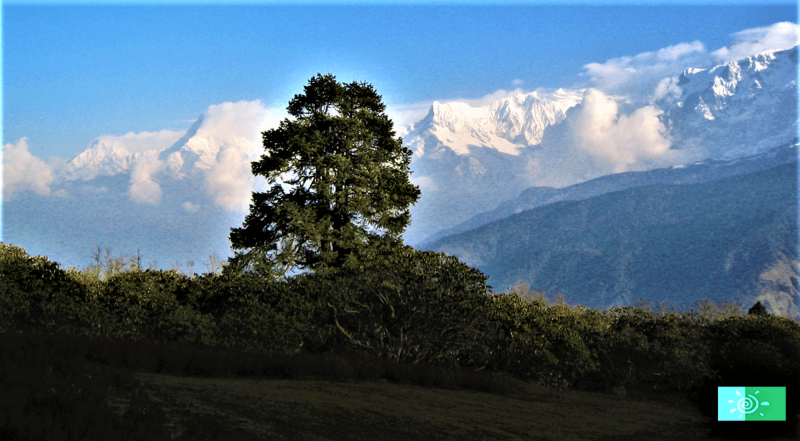 The Lamjung district is a unique blend of the landscapes that comprises of the three distinct ecological zones of Nepal: the Middle Hills (43%), High Mountains (39%) and the Himalaya (18%) in an area of 1,692 sq. km. 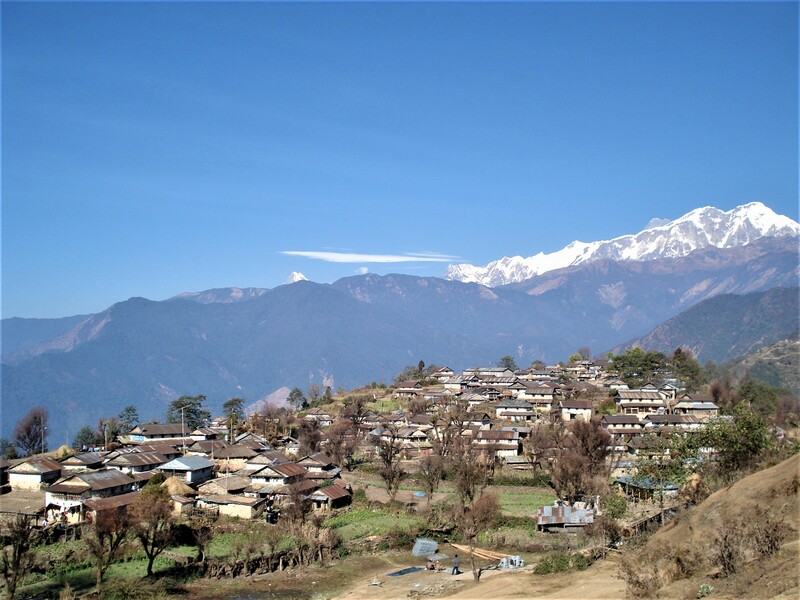 With an elevation range from 500 m to 7,690 m within a distance of 50 km, Lamjung is one of the three districts of Nepal with the greatest elevation differences. Lamjung is a perfect hub for anyone looking forward to explore the history, natural scenario and the cultural beauty of a place at once. Situated on the major trekking trail like the Annapurna Circuit, Lamjung offers various places for the tourists to explore. Ghale Gaun is the beautiful village which is famous for its unspoiled charming beauty and preserved culture of indigenous Gurung people. The Ghale Gaun is also developed as a model touristic destination in SAARC countries. 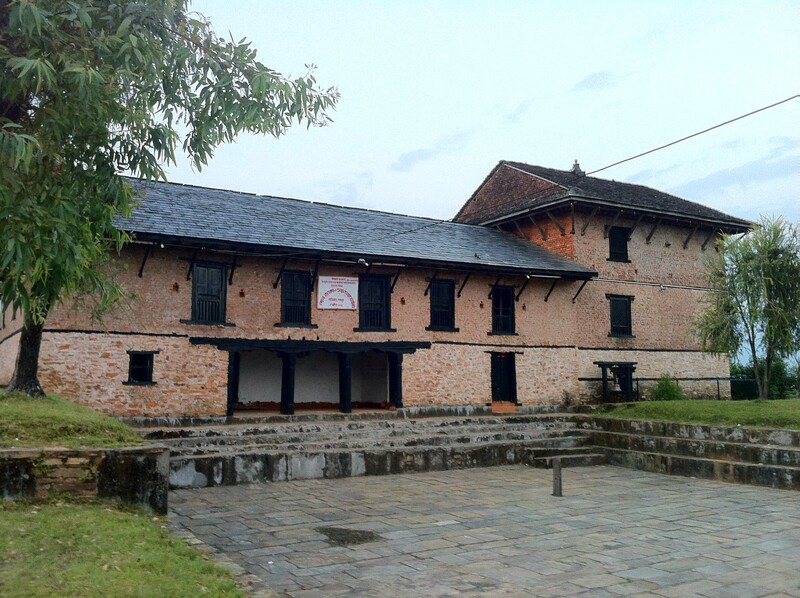 The SAARC Village Tourism Museum is one of the major attractions of the village which was inaugurated by the president Bidhya Devi Bhandari in 2017. Ghale Gaun is an ideal village to experience the warm culture and lifestyle of the Gurung people. Spending a night or more with the local people enrich the experiences of visitor with the heart filled love and traditional culture that are still in practice today. Ghale Gaun makes the visitors feel like they are not away from their home by the warm welcome and family environment. The welcome with the garland and tika and the demonstration of the traditional dances and songs are a specialty of the Ghale Gaun village that the tourists can experience. The best part is still yet to come. The tourists can also dress in the traditional attire and capture the moment for a lifetime. The old cultural dances like the Jhyaure, Serka, Dohori, Ghantu, Ghyabring, Krishna Charitra and Jhakri are still alive in the village are performed in the special occasion with the sweet melody of the traditional instruments. The village also offers the closer views of the mountains that include Machhapuchhare (6,693 m), Annapurna (8,091 m), Annapurna II (7,939 m), Annapurna IV (7,525 m), Lamjung Himal, Himchuli (6,747 m) and several other peaks. Standing on the top of the Besishahar, the Lamjung Durbar is the historical property. 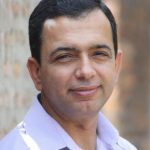 Historians claim that it is the place from where the Shah dynasty originated. The Lamjung palace is a perfect destination for a short day trek. Only about 2 hours walk from the Besishahar, the trek offers with the beautiful view of the mountains. The historical palace is the combination of a temple and a residence. The doors and the windows of the palace are more rectangular in shape and are colored dark. There is also a sunken courtyard in the front of the palace. Many people gather together in the courtyard especially during the festival of Dashain and sacrifice the animals. Besides the historical significance of the palace, the palace is also favored as a site to view the beautiful sunrise and sunset. Plus, the top offers with the wonderful views of the underlying Besishahar, Marshyangadi valley, and several mountain peaks. Baraha Pokhari (3,100 m) is not less than a paradise. It is a beautiful lake on the lap of the mountains in Lamjung. Visitors can trek around the lake and enjoy the outstanding beauty of the thick rhododendron forest during spring season, old stone steps and the temple on the edge. Sharing the border with two conservation areas namely Annapurna Conservation Area and Manaslu Conservation Area, the Barahi Pokhari further welcome the tourists to continue to reach other spots such as Mun Pokhari and Dudh Pokhari. Thus, Baraha Pokhari is the ultimate destination that provides such a warm, romantic and gorgeous visit into nature. The lake is not only naturally beautiful but also holds cultural significance. Every spring in April, on a full moon day, there occurs a Mela at the Baraha Pokhari. People from distant pay visit to this place and make a dip in the lake to purify their soul. They also worship the Barahi goddess to get their wish fulfilled. Trekking around Lamjung valley is not generally taken as a separate trial. However, Lamjung is popular as a starting point of the Annapurna Circuit Trek and the end of the Manaslu Trek. According to the report published by the Kathmandu post in February 2018, there was a considerable increase in the number of tourist trekking around the Annapurna Circuit via Lamjung. 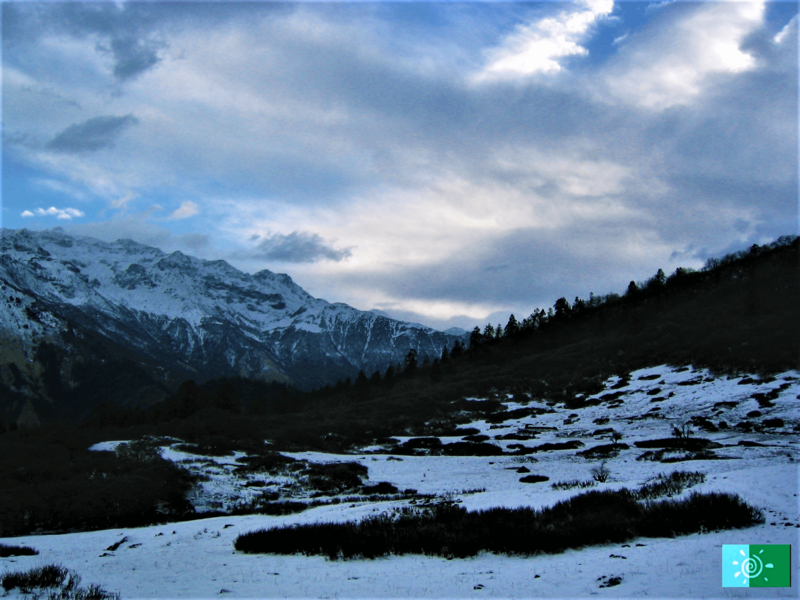 In 2017, the statistics of Annapurna Area Conservation Project’s (AACP) showed that the number of tourists visiting the route was the highest in the last 21 years. Thus, Lamjung is flourishing in the sector of trekking and if you are someone who loves to trek, then Lamjung is a place of interest to visit. 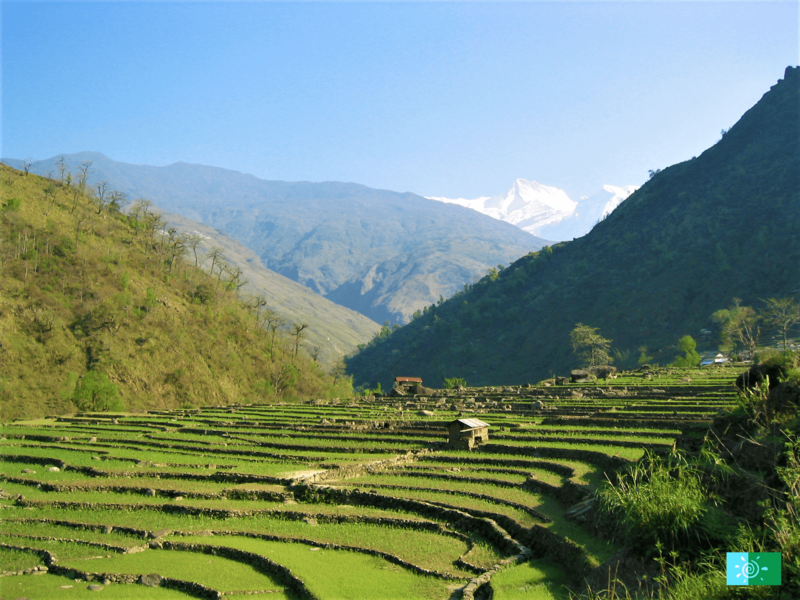 Want to experience natural and cultural wonder of Lamjung? 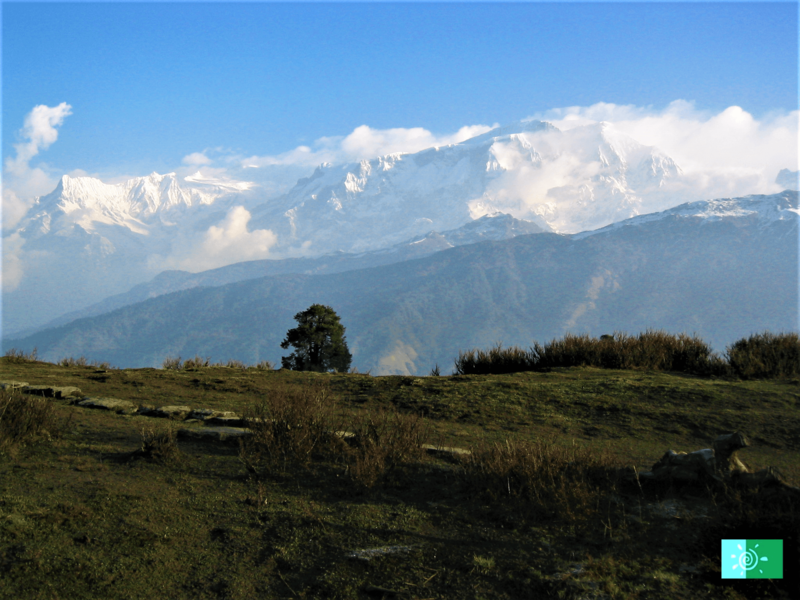 Lamjung offers the tourists with the beautiful Lamjung Himal trek with an impressing view of the Lamjung Himal and the surrounding landscapes. Lying in the Annapurna region, the Lamjung Himal trek is low altitude trek that passes through the terrain and the low land villages offering the spectacular views of the Annapurna Himalayan Range, Dhaulagiri Himalayan Range, and Manaslu Himalayan Range. The nine days long trek starts from Besishahar. 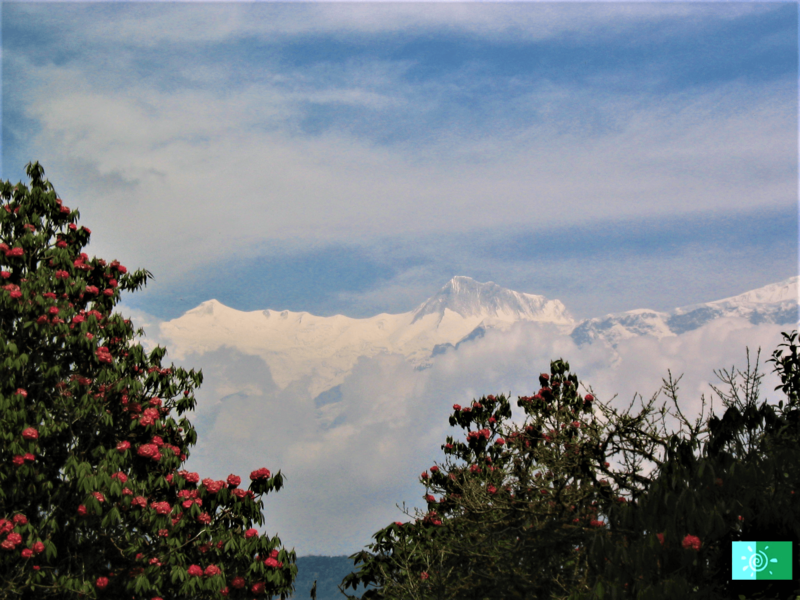 4 hours trek from Besishahar through the rhododendron forest, the trail reaches to Baglungpani. 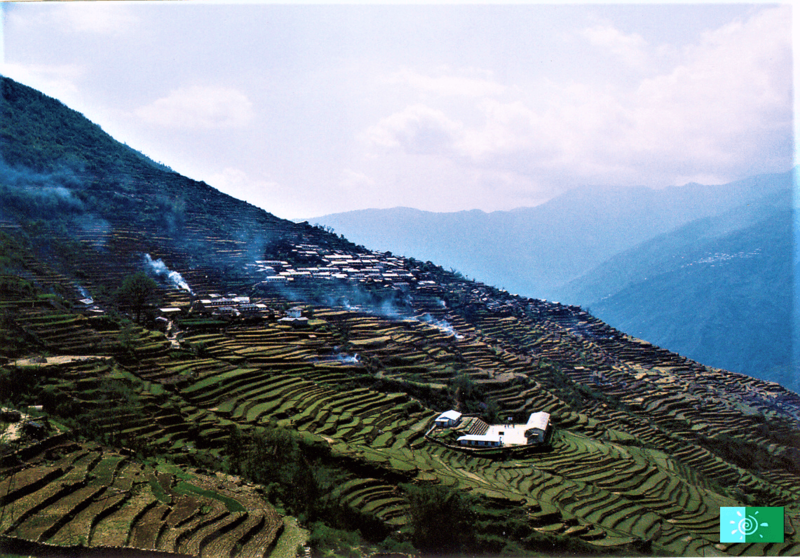 Going further from Baglungpani is the Ghale Gaun: the beautiful Gurung village. The trail then follows the Gangapokhara, Neghuche and then Rambrong Base Camp. 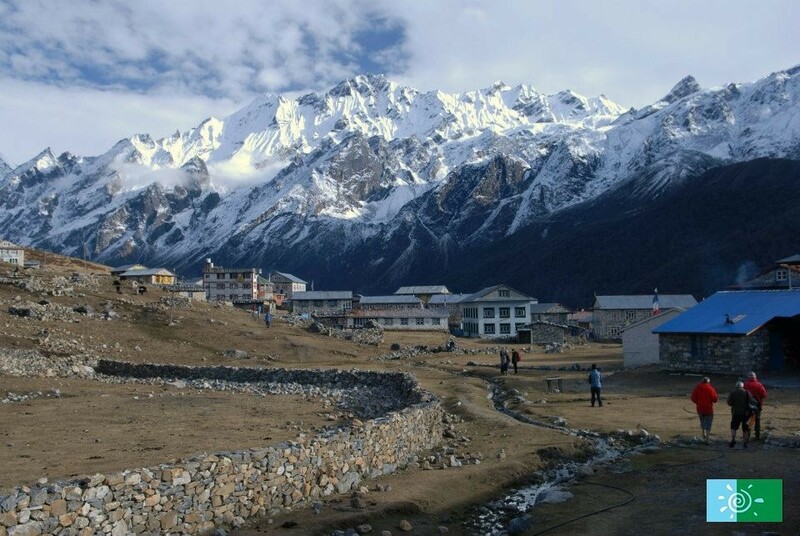 Rambrong stands at an altitude of 3,900 meters and is the highest point in the trekking trail. The Rambrong peak is about two hours climb from the base and offers an even closer view of the mountains. Descending from the Rambrong Base Camp, three hours into the forest and another three-hour straight walk leads to Nausima. Continuing again for 6 hours between the thick forests, trekkers reach the Tangting; another beautiful Gurung village. Trekkers witness the beautiful Annapurna II, Annapurna IV, and Lamjung Himal. Leaving from the Tangting village next comes Pokhara. Here comes the end of the trek and thus you can have a spare day in Pokhara or fly back to Kathmandu. The Honey Hunting is probably one of the most surprising activities any visitors will witness. The Honey Hunting is a traditional skill practiced by the tribes to collect honey from wild bees in the Himalayan foothills. Honey hunting actually risky and requires courage and to accomplish. The Honey hunting activity has now become an important part of the annual Siurung festival held in Lamjung. The honey hunting requires a team of three persons: one on the top, one on the middle to extract and the last on the bottom to collect the honey. Quite sure that the scenario of the locals climbing up the rope and ladder hundreds of feet above the ground is enough to give goose booms to anyone who is witnessing it live. The honey hunting has become a source of income generation for the local and a good way of keeping alive the tradition through sustainable tourism. The honey collected has a high medicinal and economic value in the international market. The honey hunting has been conducted in steep hills of Ghanpokhara, Khudri, Taghring, Bhulhule, Bhujung, and Dudhpokhari. Being in Lamjung and not going for rafting in Marsyangdhi? That will make your trek quite incomplete. Rafting has always been a wonderful experience and there could be no more interesting way than doing it in Marsyangdhi, the most suitable site. The soaring cliffs, swift-flowing River, and multi-shaped gorges add an extra thrill to the adventure. Jumping with the flow of the water between the canyons and magnificent rocks, you should give rafting a try while being in Lamjung.